The BeatBearing is featured in an article on page 5 of the Irish News today. 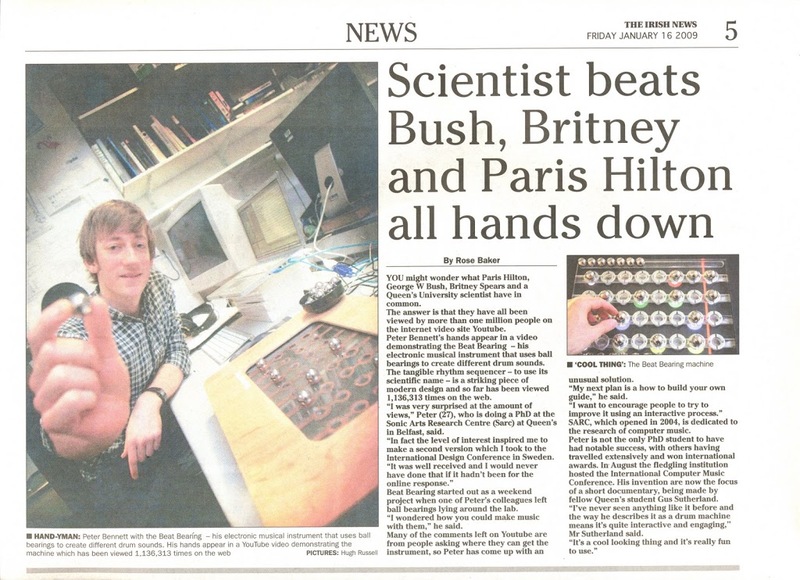 The title is “Scientist beats Bush, Britney and Paris Hilton all hands down” referencing the number of hits the BeatBearing YouTube demo recieved. You can read the article by clicking on the image above, and the online version is here. Thanks goes to Rose Baker for writing the article.